Visiting here is to truly visit a brewery! 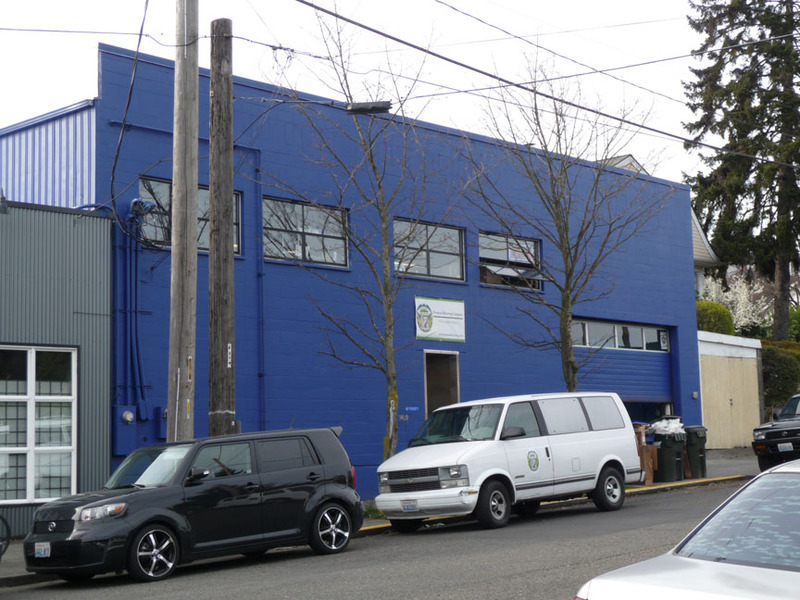 Fremont Brewing occupies a bright royal blue cinder block building, not far from Lake Union. Inside is a large warehouse with very tall ceilings made of plywood and a couple skylights. 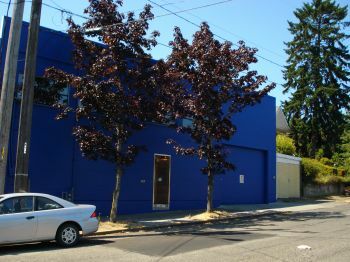 There are concrete floors, the walls are painted blue on the bottom and white on top, and there is a fairly small mezzanine with office space without any walls, just 2x4 railings. 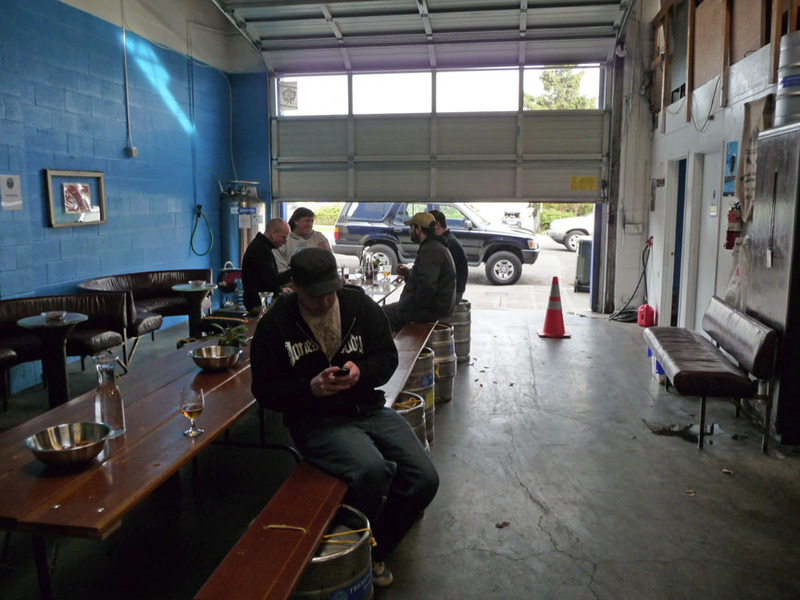 There is a fair amount of seating with a couple curved maroon padded leather benches with very nice small colored/decorated glass-topped tables (both "recycled" from another Seattle-area pub) and a very long wooden table flanked with "benches" made of aluminum kegs on end and with a wooden plank tied to them. You need long legs as the kegs are fairly high! A roll-up metal garage door next to this table is open in good weather. 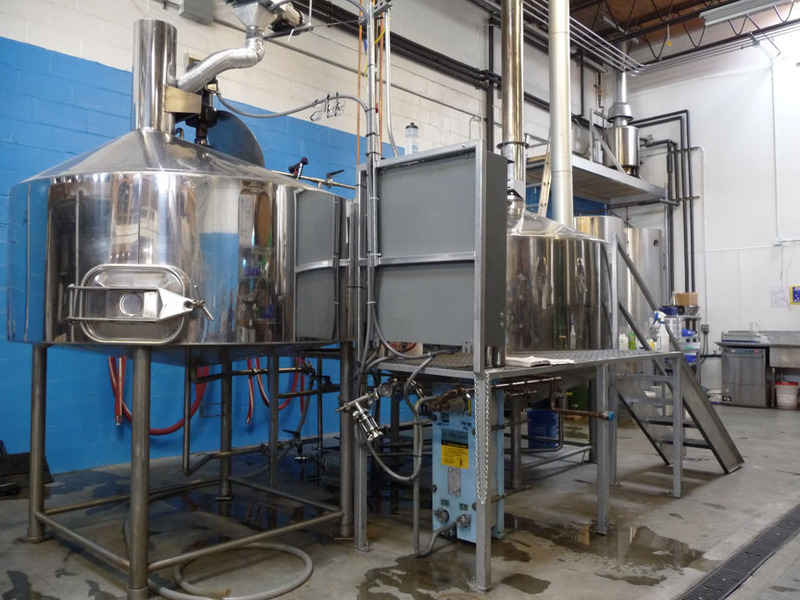 Besides the seating area, the entire rest of the space is a brewery and it's easy to see the full set of equipment (mash tun, brew kettle, fermenters, oak-aging barrels) as well as the grain storage/grinding area and a bright green cooler room. The serving area pours pints from taps attached to the cooler room. T-shirts, etc. as well as beer to-go (growlers, etc.) are available. On tap on our recent visit: Universale Pale Ale (both nitro and regular), Brouwer's "V5" IPA, Abominable Ale "Abomb", Interurban IPA, and Little Willy (Oak Aged IPA). The only food available is (free!) pretzels. 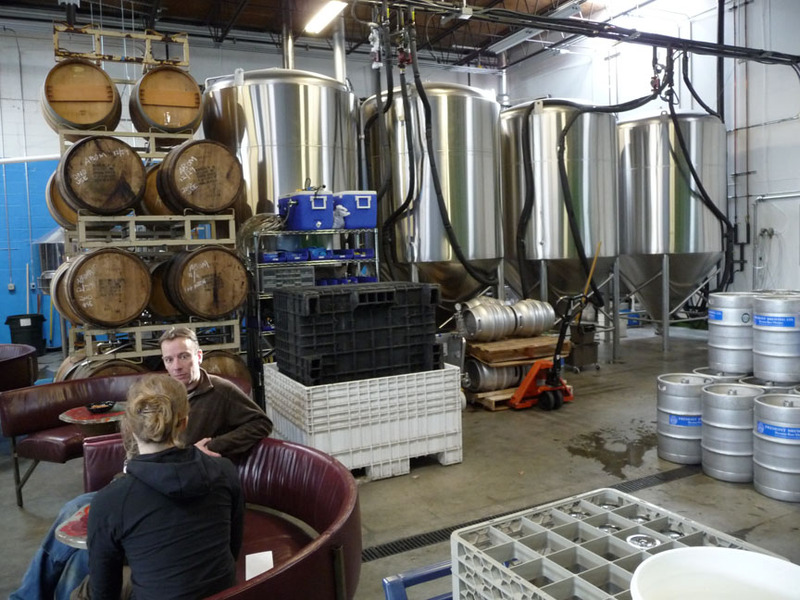 More seating, fermenters, and oak barrels. Not Quite Ready To Open!